Beijing: China on Thursday rejected India's criticism that Beijing is shielding Pakistani terrorist Masood Azhar out of "narrow political and strategic concerns" and said Beijing's decision at the UN was "candid" and taken with "ease". India on Wednesday slammed China for repeatedly rejecting resolutions seeking to declare Azhar - chief of Pakistani terror group Jaish-e Mohammad -- at the UN Security Council (UNSC). 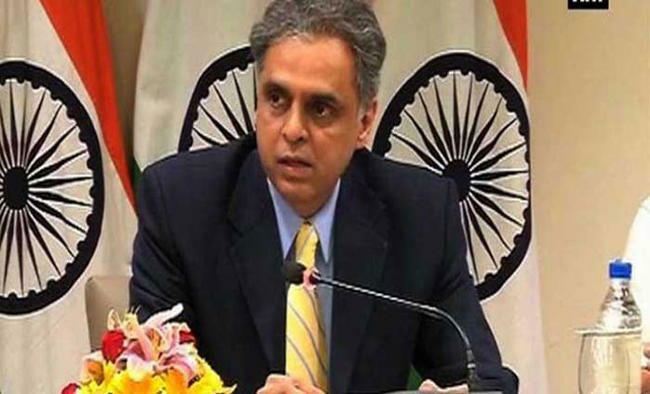 Without naming China, India's Permanent Representative to the UN Syed Akbaruddin told the Council that "on counter-terrorism, cooperation continues to elude the Council, as it falls victim to narrow political and strategic concerns". The Chinese Foreign Ministry said Beijing had nothing to with the charges levelled by India. "You have mentioned the narrow political consideration but we think we have acted in a candid way with ease. We have nothing to do with the narrow-minded political consideration," Foreign Ministry spokesperson Hua Chunying said here. "We should say that we firmly crackdown on various forms of international terrorism and on this issue we make our own judgements based on the merits of the matter. "Like we said, the relevant move in the committee accords with the rules of the procedure of the committee and we will work with various parties to uphold the security and peace of the international community." Last month, China again blocked a move by Britain, France and the US to list Azhar, the mastermind of last year's attack on the Pathankot Indian Air Force base, as a global terrorist by using its veto power. China has cited lack of consensus among the 15-members of the UNSC and no solid proof against the terrorist who is accused by India of plotting a deadly attack on the airbase in January 2016. India says only China is not in favour of branding Azhar an international terrorist. The listing of Azhar has become a contentious issue between China and India. The issue might come up for discussion on Friday when Chinese diplomat Yang Jiechi and India's National Security Adviser Ajit Doval meet for the border talks in New Delhi.